This post brought to you by Florida Department of Citrus. The content and opinions expressed below are that of Katie’s Cucina. June is here and it’s dang hot in Florida. 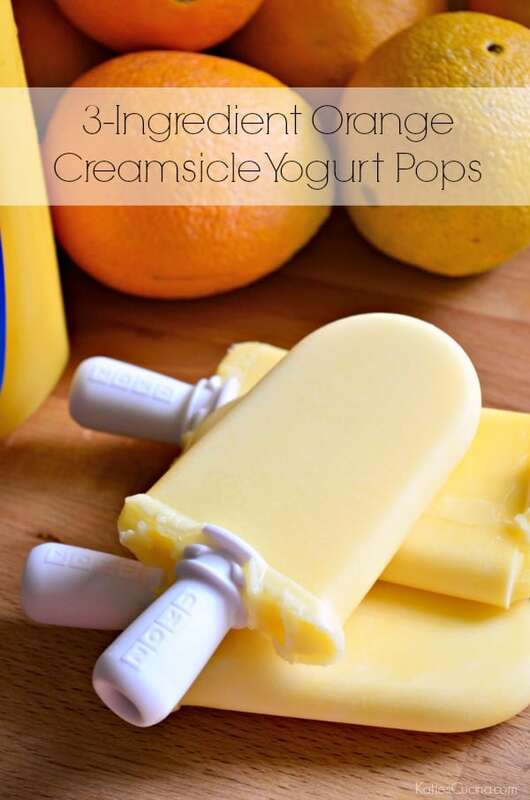 What better way to cool off then make these easy 3-Ingredient Orange Creamsicle Yogurt Pops! By combining 100% Florida Orange Juice, Vanilla Yogurt, and a little powdered sugar you have a refreshing treat and even better in minutes! 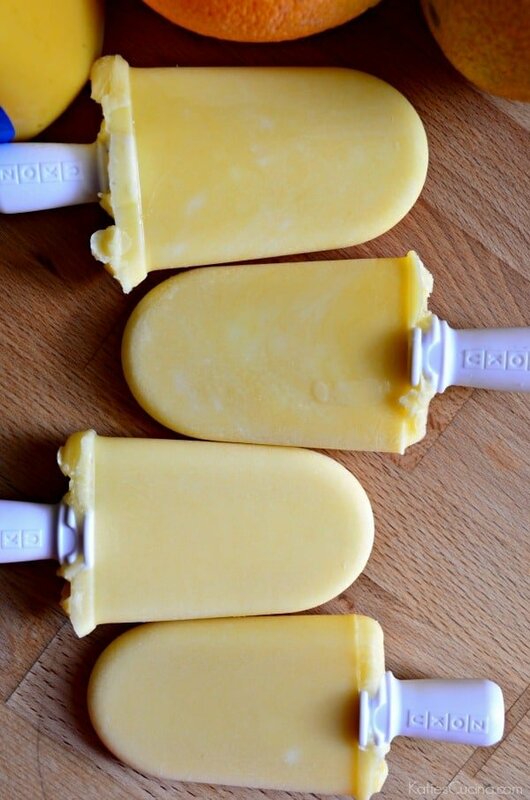 You can use a traditional ice pop mold or use the ZOKU quick pop maker. I made 4 ice pops in 20 minutes. In between making batches I just froze the first two to keep them cold. Although if you have family members that can’t wait to cool off you could just let them enjoy them immediately. I’ve partnered up with the Florida Department of Citrus (FDOC). They are introducing a new hero to America! Captain Citrus helps convey the values of the Florida Citrus industry while encouraging kids to make smarter decisions concerning nutrition. Captain Citrus helps empower kids to eat healthy and reinforces the importance of 100% Florida Orange Juice as part of a healthy and yummy diet! 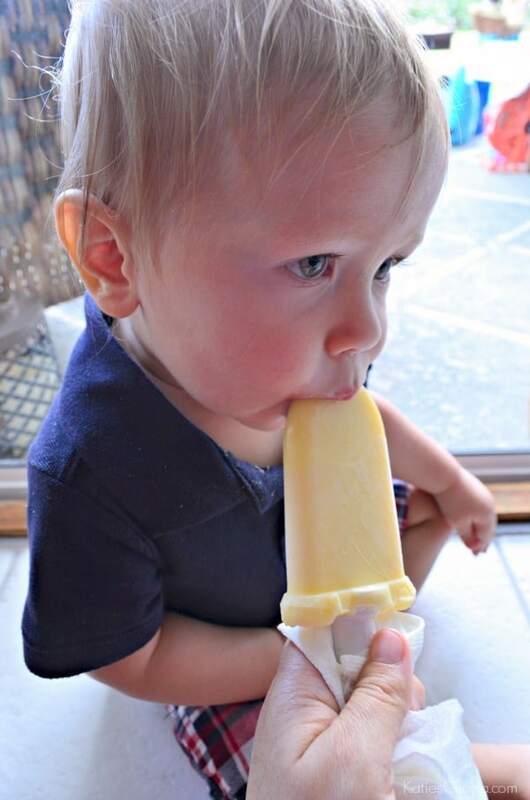 Ryder loved the 3-Ingredient Orange Creamsicle Yogurt Pops. I tried letting Ryder hold the ice pop but he had no desire. From the moment I let him lick the pop he couldn’t stop. I just started introducing frozen ice pops to him in the past month or so. So far he is loving them. While I was letting him enjoy the ice pop I read to him some of the Captain Citrus digital Amazing Inside comic. This kid loves to “read” books. We read a few books a day. I love that the Captain Citrus digital Amazing Inside comic teaches valuable every day lessons like nutrition. Moms know, with busy schedules and picky kids, it can be challenging to make sure their children have a healthy diet. By incorporating 100% Florida Orange Juice into their diets with the help of Captain Citrus, you can rest easy knowing your kids have their daily doses of Vitamin C, Folate and Potassium. 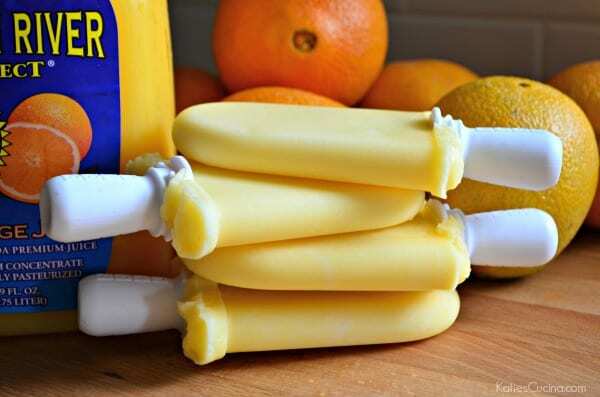 And of course no better way to incorporate 100% Florida Orange Juice than in a frozen treat like my 3-Ingredient Orange Creamsicle Yogurt Pops! Kids (and adults) can’t resist it. Whisk the ingredients in a bowl. Insert the sticks into the ZOKU and pour the yogurt mixture until you reach the fill line. Let it freeze completely (about 10 minutes). Remove the pops with the Super Tool and enjoy. Repeat with remaining pops. Mmm I love using my ZOKU to make pops! These are going to be so good! I hope I can remember to join in for the twitter part! Sounds like fun! Me too! 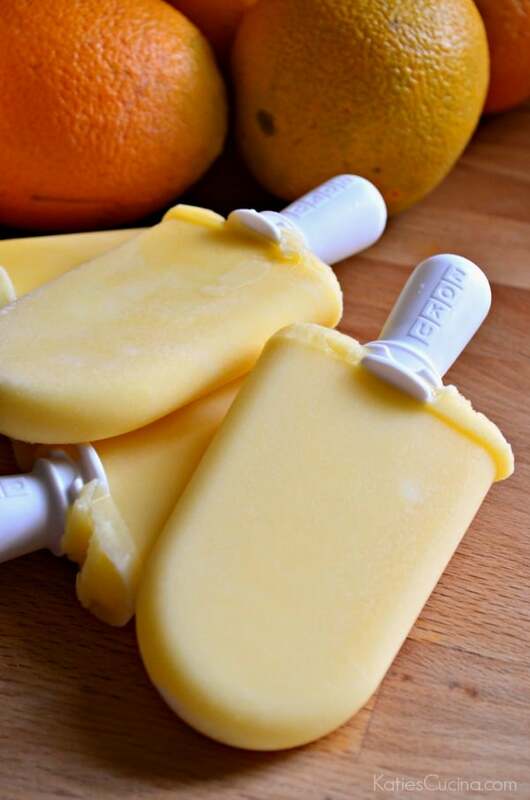 My ZOKU maker gets a workout in the summer months! mmmmmm I love creamsicles!! these pops look fantastic! So easy and refreshing, Amira!